3rd Round: Who was the last Australian man to win the tournament’s singles title? 4th Round: How many Australian Open matches has Serena Williams lost since the start of the 2015 tournament? Quarterfinal: Who is the only man to have completed a career Grand Slam in singles and doubles? Semifinal: Who was the youngest player to win a Grand Slam singles championship? Women’s Final: How many times has an unranked woman won the Australian Open? Men’s Final: Roger Federer has won six of his 20 Grand Slam titles in Australia, including in 2017 and 2018. When was the last time he lost in the first or second round at Melbourne? 1st Round. c. Federer never reached a junior final in Melbourne. Zverev won the boys’ title in 2014, Tomic in 2008, Roddick in 2000, Edberg in 1983. 2nd Round. f. Wozniacki was down 5-1, 40-15 in the third set against Jana Fett in the second round at Melbourne a year ago, before saving a pair of match points there and taking the last six games — then rolled to her first Grand Slam title. Capriati was a point from losing four times against Martina Hingis in the 2002 final; Williams faced match points in the 2003 semifinals against Kim Clijsters and the 2005 semifinals against Maria Sharapova; Li saved a match point against Lucie Safarova in the third round in 2014; Kerber was a point from exiting in the opening round against Misaki Doi in 2016 before going on to earn a major trophy for the first time. 3rd Round. c. Edmondson capped a run of 15 men’s titles in 17 years for the hosts, but no Australian has won it since. The most recent finalist from the country was Hewitt in 2005, when he was the runner-up to Marat Safin. The last Australian to win the women’s championship was Chris O’Neill in 1978; the most recent female finalist from the country was Wendy Turnbull in 1980. 4th Round. d. Williams won the title in 2015, was the runner-up in 2016, then won it again — No. 6 for her in Australia — in 2017, while pregnant. She sat out the tournament in 2018 after giving birth to her daughter the previous September. The lone loss in that span was to Angelique Kerber in the final three years ago. Quarterfinal. a. Emerson, an Australian, won the singles trophy at his country’s tournament six times in the 1960s, part of his total of 12 Grand Slam titles, which stood as a record until Sampras broke it. Emerson also won 16 major doubles titles. Semifinal. b. Hingis was 16 when she beat Mary Pierce 6-2, 6-2 to win the Australian Open. Chang is the youngest man to lift a major trophy; he was 17 when he won the 1989 French Open. Women’s Final. b. Evonne Goolagong was not ranked when she beat Helen Gourley Cawley 6-3, 6-0 in December 1977 to become the first mother to win a Grand Slam singles title in the Open era (there also was a January edition of the Australian Open that year; Goolagong sat that one out while pregnant). Men’s Final. 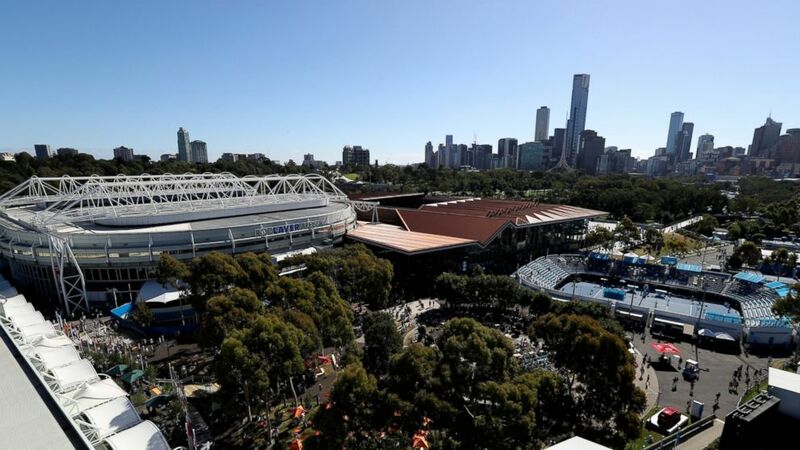 e. Federer has lost in the Australian Open’s third round three times — in 2000 and 2001 to Arnaud Clement, and in 2015 to Andreas Seppi — but never failed to advance at least that far.